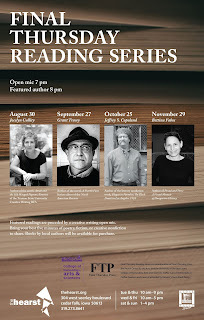 Jeffrey S. Copeland is the featured reader at the Final Thursday Reading Series on October 25 at the Hearst Center for the Arts. 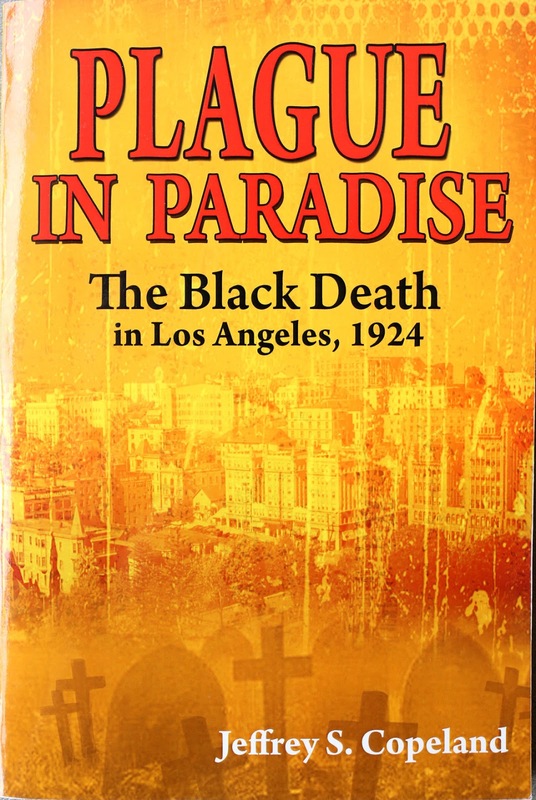 His new work of literary nonfiction, Plague in Paradise: the Black Death in Los Angeles, 1924 (Paragon House), documents efforts to confront an outbreak of the bubonic plague in 1920s Los Angeles. 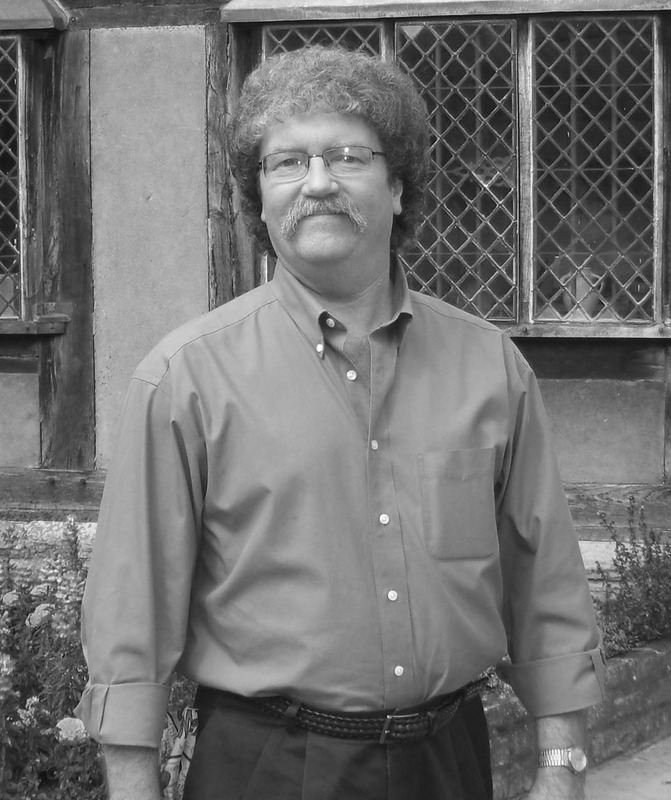 Copeland is the author of several works of literary nonfiction, including Ain’t No Harm to Kill the Devil, Shell Games and Inman’s War. He is a Professor of English in the Department of Languages & Literatures at the University of Northern Iowa. You’ve got this knack for discovering underappreciated moments in American history. My first question, and it’s the question I have had about all of your literary nonfiction books, is how did you discover this topic and how come it had not been written about previously? JEFFREY S. COPELAND: It was a couple years back during the Zika Virus outbreak that my wife and I first ran across references to the Black Plague outbreak back in 1924 Los Angeles. At the time I said, "Wow - I've never heard about the '24 outbreak of Black Plague - I wonder how come?" My curiosity was getting to me, so I did just a little research and discovered there was a pretty amazing story there. At the same time, I also discovered why I had never heard of it: The people involved in the 1924 outbreak were NOT proud of what transpired during that terrible time, so they did their very best to shove everything under the rug - and they did a darn good job of that. Once I discovered this "cover-up," I knew I had to dive into the research. In short, I was hooked - and wanted to bring this story out into the light. Many people think of the Bubonic Plague as something that was a relic of Medieval times. How is it that this was an issue in 1920’s Los Angeles? JC: Back in Medieval times, the Black Death wiped out, by most estimates, about half the population of Europe. After that, pockets kept spring up around the world -- and even to this day. Last year over 2,500 cases of the Black Plague appeared in Madagascar alone. Right now, the U.S. ranks 11th in the world in cases that pop up each year, mostly confined to the Southwest region of the country but it shows up elsewhere as well. 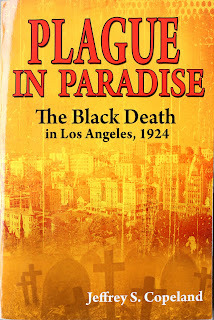 It doesn't give away too much of the story to say that the plague came to Los Angeles in 1924 by way of a ship that had come there from another part of the world. The most frightening thought right now is that cases could be appearing in shipping ports and airports all around the globe. With international travel as easy as it is today, the possibilities are endless for transmission of a wide variety of illnesses. In a related area, NBC News reported on October 6 that an outbreak of Typhus appeared in Los Angeles at "epidemic levels" -- and this, too, was caused by it being brought in from the outside. Whether the Middle Ages or 1924 Los Angeles or TODAY Los Angeles - these outbreaks are always going to be with us. The protagonist of this book, Dr. Matthew Thompson, was a real person. What did you have to do not just to research his experiences but to get into his head and understand the way he thought? JC: Whenever I tackle a literary nonfiction book, I first make a large chart with several columns related to methods of revealing character: What they say; What they do; What others say about them: Their physical characteristics; and their motives (what makes them tick). I don't begin writing the book until I can fill out these charts for all the major characters in the story. Finding out this information about Dr. Thompson took time to locate, but his fingerprint was all over the follow-up reports about what happened, and there were several accounts of what others said about him at the time. Plus, I dug out his old medical school records -- and even found out more about where he grew up and what he was like as a little boy. The Catholic Diocese in Los Angeles also had a wealth of information about him that I could draw from (this will become more clear as people read the book). Dr. Thompson was fun to research, but some of the other characters were much, much tougher because so many records were hidden after the events took place. The outbreak of the plague in this book is more than a medical issue. The social aspects of the plague, who it impacted and how they were treated, is as important as the science behind the disease. Was this something you knew about the history of this moment going in, or was it something you discovered in your research? JC: The medical issue was what first caught my attention, but it wasn't long at all before I started seeing the "social issues" that developed as the outbreak unfolded. Then, one day while looking through the Church records kept at the time, I started learning about Father Brualla's work. Father Brualla was the priest at the church that served the part of Los Angeles where the plague first appeared. Once I started following what Father Brualla did during this dark time, I found out about the prejudice and "fear of outsiders" that reared ugly heads there. One of the biggest things I did not know until getting pretty far into the research was the prejudice and fear displayed in Los Angeles is cited by so many historians as one of the prime reasons the Centers for Disease Control and Prevention in Atlanta was founded. That development, the founding of the CDC, has been a game-changer in the treatments of outbreaks ever since. Can you talk a little bit about how you conducted research for this book? Did it involve a lot of time in dark and dusty archives, or did you find yourself spending a lot of time in sunny L.A.? JC: Quite simply put, the research for this book was the toughest to do for anything I've ever written in my writing career. Again, this was mostly because so many records were shoved under the rug, "misplaced," or destroyed -- because of how badly everything was handled there. For context: An outbreak of the Black Plague happened in San Francisco twenty years before the outbreak in L.A. In San Francisco, city and medical officials did their best to hide news of the plague; as a result, medical treatment didn't start there until over 2,500 members of the Chinese community in San Francisco died. When the cover-up was discovered, heads rolled -- and even the Governor of California was forced to leave office. The officials in Los Angeles in 1924 were very aware of all of this, and they had to decide whether to let everyone know what was going on -- or whether to hide the news, for a variety of reasons/motivations -- while knowing if they got caught hiding news of the outbreak, many of them could have faced severe consequences. So, to cover their tracks after the outbreak finally came under control, many records just "disappeared," and this made the research extra tough. However, when that happens, I just have to dig deeper. The information is always there if a writer is willing to turn over all the stones. While turning over these stones, I dug around everywhere from the Library of Congress to the National Archives of Canada, and even the CDC. Out in Los Angeles, I "walked off" the entire area of the city where the outbreak took place, visited with medical personnel who helped me with records, and even had a lovely lunch with the current Priest at the church that was at the center of the story (and who also filled me in on aspects of the story I did not know -- and needed to know!). I also got over eleven hundred dollars in traffic fines in Los Angeles and surrounding cities while doing my research there, but that "price of doing research" is a story for another day.